Instead of £140.40. You save £7.02 due to the online discount . 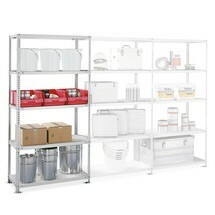 Production and warehouse processes are constantly changing. 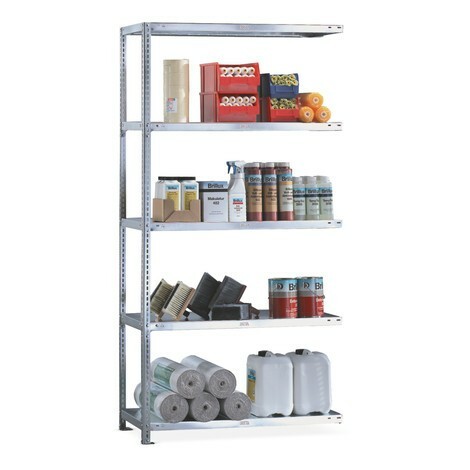 A flexible shelving system, which can be expanded or modified at any time with minimal effort, allows you to respond to these changes quickly and efficiently. 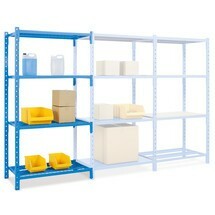 New machines and stored goods constantly require restructuring in warehouses and operating spaces. 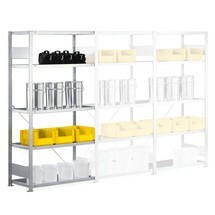 Flexible shelving systems are ideal for such situations as they can be individually adapted to the new room conditions. The galvanised add-on units for open META shelving with a shelf load of 230 kg serve as a perfect example of such a system. 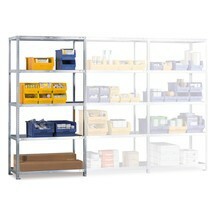 Thanks to the bolted assembly system, you can connect the rack units easily and securely or reconfigure them at any time. With the supplied Allen key and intelligent bolted system, you can assemble the add-on unit for your storage rack quickly and securely. 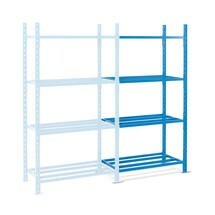 The high-quality steel plate provides a flexible shelving system with excellent capacity and durability, with the added benefit of double-sided access. 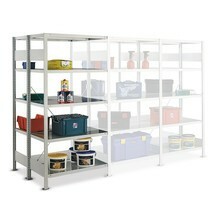 The height of the galvanised shelves, which feature a 3-point safety edge, can be adjusted in 25 mm increments. 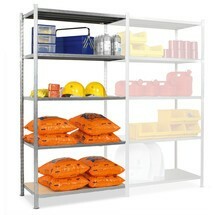 The safety of the shelving has been certified with the quality mark RAL-RG 614 for shelf racks. 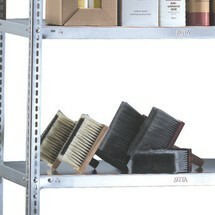 Expand your storage options with the galvanised, bolted META shelf rack as an add-on unit with a shelf load of 230 kg. Order it from our shop now.